When making a straight honey mead, you’re asking the yeast to perform a gargantuan task — take the initial must (unfermented mead) from a high starting gravity down to a reasonable finishing gravity. In many cases, a drop in apparent attenuation of around 24 °Brix/SG 1.101 is desired. When accomplishing this, you also want the yeast to experience as little stress as possible. This will minimize the off characters produced by stressed yeast and allow the fermentation to progress in an orderly fashion. One key to achieving an ordered mead fermentation is ensuring that the yeast have adequate nutrition throughout the fermentation — and for this, both the amount and timing of nutrient additions play a role. 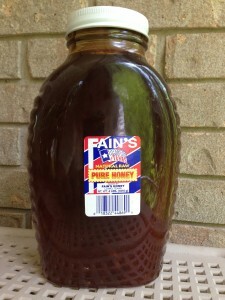 Honey is high in simple sugars, but low in nitrogen. Yeast need nitrogen to survive and reproduce, but mead musts typically contain far too little free amino nitrogen (FAN) to support a fermentation that finishes in a reasonable amount of time and reaches a desirable final gravity. To support the fermentation of a must around 25 °Brix (SG 1.106), the yeast require about 300 ppm FAN. 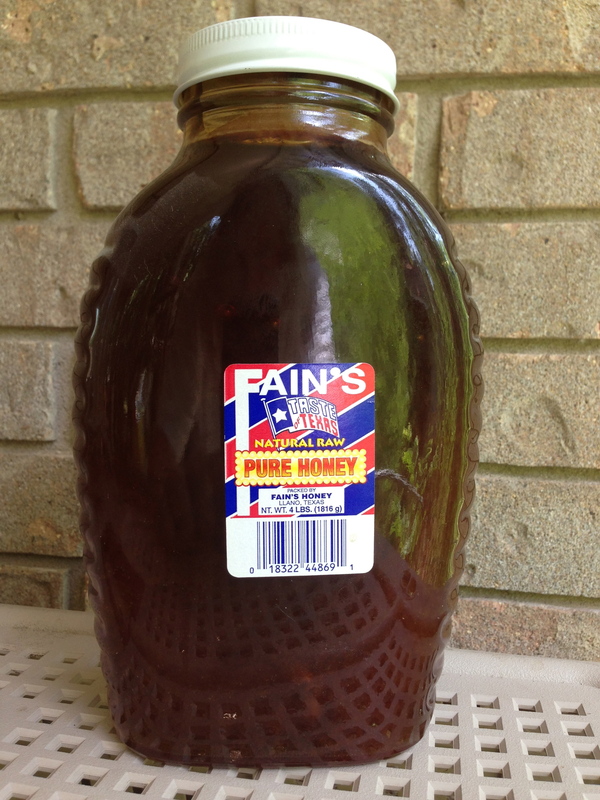 However, mead musts made from honey alone are usually under 20 ppm FAN. (Musts that include fruit may be substantially higher). To supply the yeast with enough nitrogen, and also other needed micronutrients, many mead makers rely on a blend of Fermaid-K and DAP (diammonium phosphate). The diammonium phosphate — a common wine yeast nutrient sold at any home winemaking shop — supplies the yeast with nitrogen. Fermaid-K — a complete yeast nutrient, which you’ll likely find in the same section of the wine shop as the DAP — supplies the must with not only nitrogen, but a range of other vitamins, minerals and biomolecules to support a healthy fermentation. Some meadmakers will also rehydrate their yeast with Go-Ferm, a yeast nutrient formulated to be added during dried yeast rehydration. For most 5-gallon (19-L) mead recipes, the total amount of yeast nutrient added is in the range of 2.5 tsp. to 4 tsp. of mixed yeast nutrient. Dry meads, which start at lower original gravities, are on the low end of this range and the bigger sweet meads are at the high end. The blend of yeast nutrients usually ranges from a ratio of 1:1 to 2:1 DAP to Fermaid-K. In the last few years, most mead makers have favored adding the nutrients in a staggered fashion. The total amount of nutrients to be added is split into 2 to 4 aliquots and added at separate times. The idea is to not overload the yeast initially with nutrients, but to supply them as needed. Early doses may be added when the must is prepared and/or when the first evidence of fermentation is indicated. And later doses are added up until the point that a third of the sugar in the must has been depleted (as indicated by hydrometer reading). If you’re working with an old mead recipe that specifies adding all the nutrient at the beginning, reduce the total amount added to between two-third and three-quarters of the amount specified, as the yeast are assumed to make more efficient use of the nutrients when additions are staggered. Staggering your yeast nutrient additions should supply the yeast with adequate nutrition when they need it most. In turn, this is likely to produce a fermentation that proceeds quickly, finishes at an appropriate final gravity and results in a wonderful mead. That’s a great synopsis of SNA, thanks! Thanks guys. In the not too distant future, I hope to post something about potassium levels and pH in mead fermentations. Trying to get a couple interviews with some mead makers in the know before I do. Some good information on potassium and pH would be great. It is relevant to so many people who attempt a traditional mead. Please include what you can find out about potassium carbonate/ potassium bicarbonate additions as related to pH control. And thanks for the excellent website. Wow. Coincidentally, I just finished a story on that today. I’m waiting on some comments from a reviewer, but it should be posted either tomorrow or early next week. I have been meaning to get into meads for a while, but haven’t yet. I have been keeping an ear to mead techniques though, and I have seen some people also staggering sugar additions. It seems more popular in high gravity ales than meads, but it seems to drive a bit fuller ferment and result in a drier product. I suspect it would be pretty easy to employ both methods- add some extra honey with each nutrient addition. You might want to note that it is a very good idea to carefully stir the must before adding the nutrients to release the CO2. Otherwise, you can end up with a nice mess as the nutrients add nucleation sites and the must will bubble over! Very nice article. That’s right. You can make a nice little “volcano” by pouring solids into a carbonated liquid. Good article. The information that seems to be lacking in the latest method of mead making is the specific amount of nutrient necessary for higher gravity musts. Surely, someone has developed a reliable scale relating nutrient amount to gravity amount. Thank you immensely for this. An interesting read, but I’d like to suggest that when discussing dosages, you use a clearly defined, internationally recognised measuring unit, e.g. oz, gram etc. I dont’ recall ever having seen any package of yeast nutrient, or anything else for that matter, quantified in tsps. How much do I need to buy to ensure that I have 4 tsps? What kind of fruits can be added to supply nitrogen instead of powedered chemicals?